Click the button below to download our ebook app for Mac. Thank you for choosing an Educate.ie textbook. Please follow the instructions below to download your free companion ebook. If you would like to, you can download your app to more than one device but please ensure you use the same username and password each time. To install our app on a Mac laptop or desktop computer, follow the instructions below. Click the image above to download the installer onto your computer. The app will download on your browser. 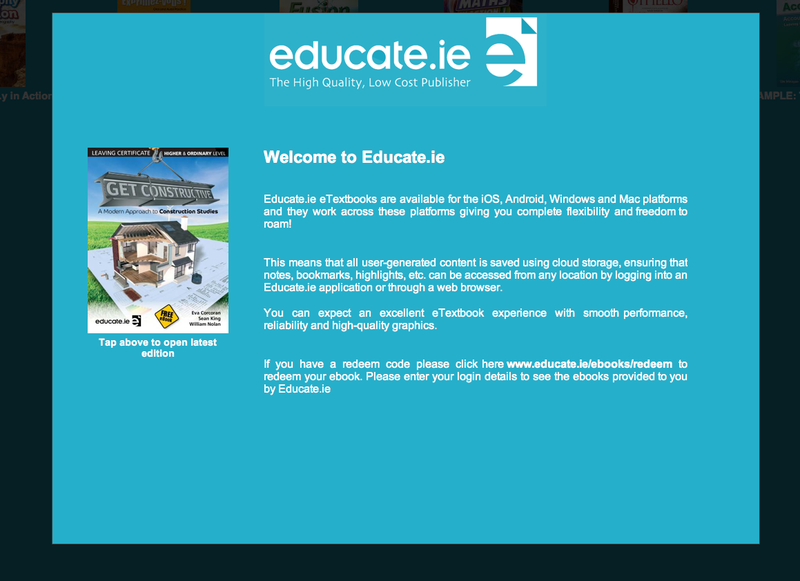 Your Educate.ie app is now available on your device. Click to open.